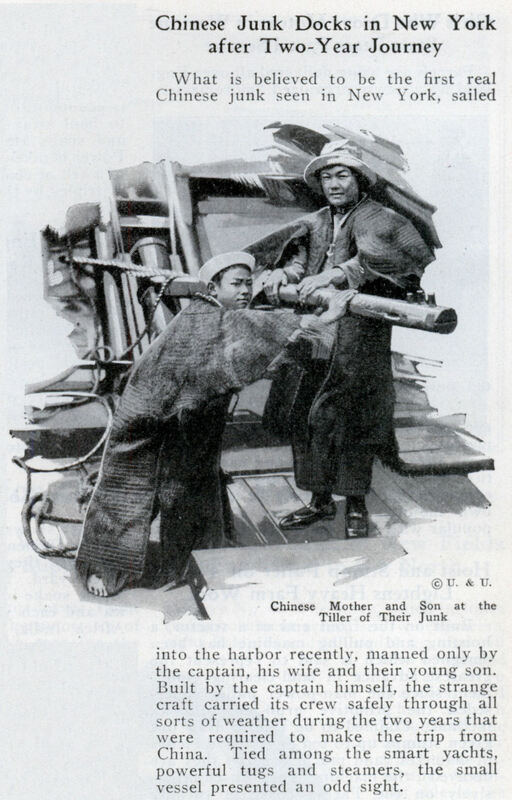 What is believed to be the first real Chinese junk seen in New York, sailed into the harbor recently, manned only by the captain, his wife and their young son. Built by the captain himself, the strange craft carried its crew safely through all sorts of weather during the two years that were required to make the trip from China. Tied among the smart yachts, powerful tugs and steamers, the small vessel presented an odd sight.